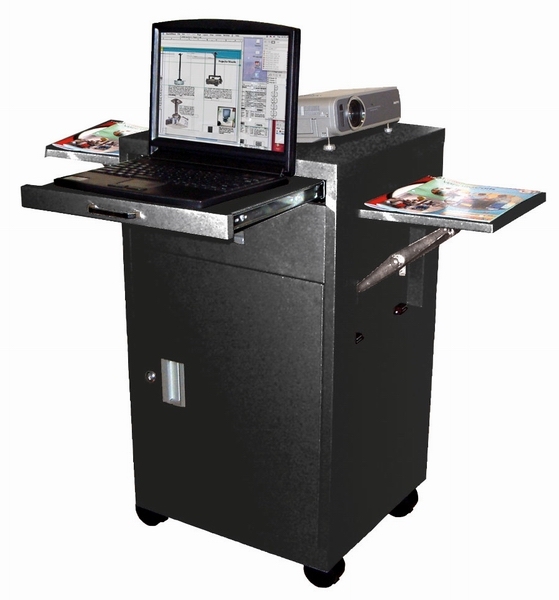 Multi-media AV cart and laptop cart with locking cabinets and drawer. Adjustable height middle shelf inside the cabinet. All metal construction. Comes with 3” casters, two with locking brakes.